SAN FRANCISCO—At its public meeting on December 12-13, the Judicial Council will consider legislative priorities for the judicial branch in 2014. 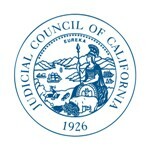 Recommended by the council’s Policy Coordination and Liaison Committee, the legislative priorities include: (1) Advocating for a robust reinvestment in our justice system to avoid further reductions and to preserve access to justice for all Californians; (2) Advocating to secure new judgeships and ratify the authority of the council to convert vacant subordinate judicial officer positions to judgeships in eligible courts; and (3) Advocating for legislation that will expand access to interpreters in civil cases. Improved physical access by keeping courts open and operating during hours that benefit the public. Increased remote access by increasing the ability of court users to conduct branch business online. Enhanced equal access by serving people of all languages, abilities and needs, in keeping with California’s diversity. The council’s two-day public business meeting is scheduled for December 12 from 1:00 p.m. to 4:10 p.m., and December 13 from 8:30 a.m. to 12:45 p.m. The public business meeting will take place in the Judicial Council Conference Center, Hiram Johnson State Office Building, Third Floor, Ronald M. George State Office Complex, 455 Golden Gate Avenue in San Francisco. A live audiocast of the two-day meeting will be on the California Courts website and the agenda and reports are posted online. Judicial Workload Assessment and Allocation of New Judgeships: The council will review options for allocating the next 50 judgeships to the trial courts, considering how the most recent judicial needs assessment, prepared in 2012, would change the allocation of judgeships compared to what the council approved in 2007. The judgeships in question are commonly referred to as the “second 50” judgeships that were authorized, but not funded, through Assembly Bill 159 (Stats. 2007, ch. 722). Status Report from the Technology Planning Task Force: The council will receive an update on the work of its Technology Planning Task Force. This task force is charged with defining judicial branch technology governance; developing a strategic plan for technology at the Supreme Court, Court of Appeal, and trial court levels; and developing recommendations for funding judicial branch technology. This update will include a new prioritization model for technology projects. Open Meetings Rule for Judicial Council Advisory Body Meetings: The council will consider approval of a report to the Joint Legislative Budget Committee on progress toward development of an open meetings rule for Judicial Council advisory body meetings. The report provides an update on the activities, goals, and timeline related to the drafting and implementation of the open meetings rule. The status report is due to the Joint Legislative Budget Committee by January 1, 2014. New Guidelines for Conducting Cost-Benefit Analyses for AOC Projects: The AOC’s Chief Administrative Officer and director of its Fiscal Services Office will present an informational report on efforts related to the application of a cost-benefit/business case analysis for AOC projects. The report responds to the Judicial Council directives to the AOC stemming from the final report of the Strategic Evaluation Committee (SEC). Final Report of the Elkins Family Law Implementation Task Force: The council will consider the recommendations from the Elkins Family Law Task Force that have been put into place, that remain to be done, and that require ongoing education, technical assistance, research, and evaluation. Distinguished Service Awards Presentation: The council will honor the recipients of its annual Distinguished Service Awards for significant and positive contributions to court administration in California. The council approved the recipients at its August 23 meeting. The awards presentations will be open to the public in the Milton Marks Conference Center Auditorium, lower level of the Ronald M. George State Office Complex, 455 Golden Gate Avenue in San Francisco.